I’m Simon, passionate software developer from the beautiful city Münster, Germany. 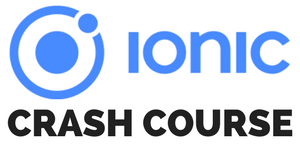 I quitted my software developer job in 2017 and started working full time on this blog, the Ionic Academy and also the LifestyleBusinessTransformation. I’m open for all kinds of projects and enjoy my flexible working times, so feel free to contact me if you have an upcoming project or need any kind of consulting or coaching. With this blog I want to help aspiring developers to get the most out of them. I share useful information about hybrid & native mobile App development, but also focus on topics like becoming more productive or efficient as a Software Developer. I am a very intrinsic motivated person, and I am quite hard with myself sometimes. Your time is limited so don’t waste it living someone else’s life. Don’t be trapped by dogma which is living with the results of other people’s thinking. Don’t let the noise of other’s opinions drown out your own inner voice. And most important have the courage to follow your heart and intuition. They somehow already know what you truly want to become. Everything else is secondary. I hope those words inspire you and your dreams as well! If you have anything to ask, don’t hesitate to contact me on twitter @schlimmson or your preferred social media platform!